A cluster of problems has arisen because of the political ambitions of former President Mahinda Rajapaksa. 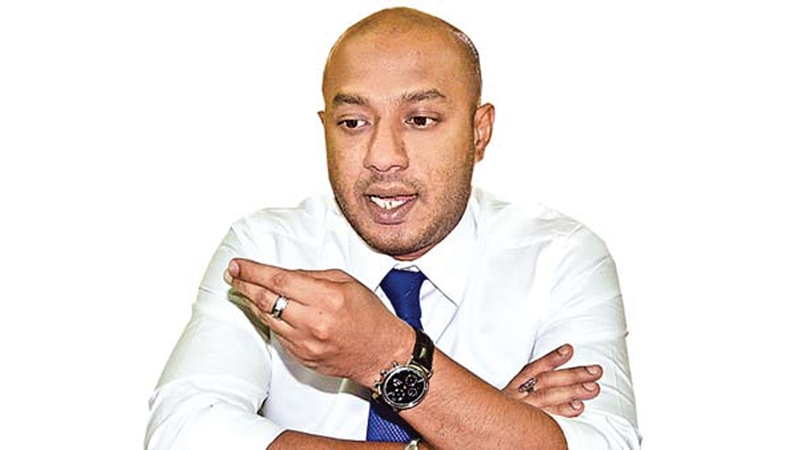 If he expects the honour of winning the war, he should also accept the responsibility for all destruction, said SLFP national organiser and Irrigation Minister Duminda Dissanayake, addressing the media following a SLFP meeting in Anuradhapura recently. The Minister said Mahinda Rajapaksa was hoisted to the apex position in politics by the people and he did wrong by remaining in politics for too long. “There has been a wave of strikes now. Railway employees should remember that they are not facing any financial discrepancy, but a problem related to their positions in the service,” the Minister said. “I appeal to all those planning to launch unwarranted, unreasonable and politically motivated strikes to avoid any uprising of the public whom they are provoking by resorting to strike action.” He said that the time has come for the public to get the justice for their problems, if those problems are created by any agency purely on a political agenda. ‘‘That is why they are vehemently and unreasonably working against the yahapalana government following cheap political strategies and hoodwinking and misguiding people, including state employees, over incidents such as the death of a person or a natural disaster. “Recently Samurdhi officers launched a strike. The former minister Basil Rajapaksa dragged these officers into difficulty. They were recruited in 1994. But so far no appointment letters have been issued or pension scheme created. I request the Samurdhi officers not to allow their trade union leaders to hoodwink them. ‘‘If the Rajapaksha regime genuinely wanted to settle the Samurdhi officers’ grievances, they could have done so before their defeat in 2015, by granting the legal privileges and rights to Samurdhi officers whose posts they created,” the Minister said.